1. One of the most popular peppermint oil uses is to relieve headache pain. This remedy is used by many people, and while scientific research has not verified this effect, many headache sufferers attest that the treatment actually works. Peppermint essential oil is placed on the temples, and the individual may lie down to relax better. Many users say that this remedy works fairly quickly and is highly effective. 2. Relieving chest congestion is another of the top peppermint oil uses. The oil can be diluted and rubbed into the chest area helping clear the lungs and remove excessive mucus in the respiratory system. The menthol in the oil also makes the mucus easier to cough up and remove from the body. 3. The taste and the health benefits of peppermint make this plant a very popular flavoring for food, beverages, and even medicines. The pure peppermint oil can be used to flavor candies, pastries and fillings along with other foods. This way, the health benefits are offered along with the great taste. Many medications include this oil for a better taste and more palatable flavor, because the strong taste of peppermint overpowers other less pleasant flavors. 4. 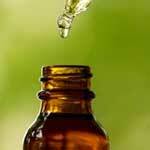 Treating irritable bowel syndrome is another one of the top 5 peppermint oil uses. This oil helps smooth out intestinal wall muscles and prevent or eliminate many of the irritable bowel syndrome symptoms. Excessive gas, stomach and intestinal cramping, and other symptoms that are caused by intestinal irritation are treated naturally with the oil from the peppermint plant. 5. Muscle pain and damage can be treated effectively, and this is one of the top peppermint oil uses. Creams like Ben Gay and other menthol muscle rubs contain the oil to cool, soothe and relax the affected muscles. Minor injuries and overuse of muscles can be treated by using the oil topically on the skin as well as taking peppermint oil capsules.